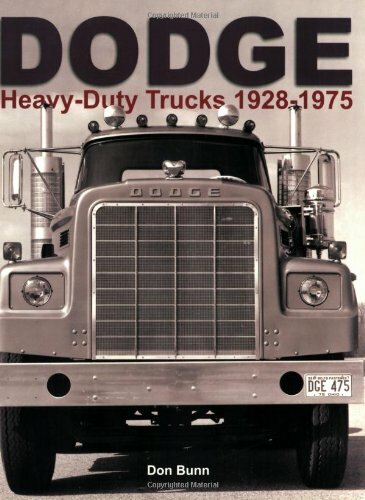 The most detailed history you will find on Dodge Heavy-duty Trucks is finally available. From Dodges earliest three-ton models in 1928 to the 1975 models that never happened because Chryslers management pulled the plug on the heavy-duty truck business, this informative reference guide chronologically walks the reader right through time. With this easy-to-follow format, find a specific model year or time period to know what your favorite trucks specifications were, what engine it used, what improvements and changes were made on it from the prior year, and so much more. Vintage photos show the trucks, engines, and interiors when they were new. See the rarest Dodge Heavy, F-Series, G-series, diesels, B-Series, the famous Roy Rogers 1955 Dodge tractor for pulling Triggers trailer, Power Giants, M-Series, Tilt Cab sleepers, cab forwards, Big Horns, Airflows, all being used in a variety of configurations for hauling, dumping, and other work that takes a big rig to do the job right.